Hedges act like a natural boundary around houses and other estates and keeping them well cut and shaped is important. You can take advantage of our professional hedge trimming services which will make your garden and yard look presentable. 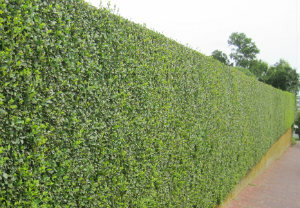 We carry out formative and maintenance trimming of overgrown young and adult hedges. Our gardeners have the necessary skills and knowledge to undertake the shaping of shrubberies that will stimulate their growth. Our hedge trimming services are available in Canary Wharf E14 during weekdays, weekends and holidays. Our gardeners have the necessary skills and tools to carry out comprehensive and well formative and ongoing trimming of shrubs. They use sharp pruners and shears, electric hedge trimmers, protective glasses and gloves to do the work. Each hedge specie requires cutting at a certain time during the year to be in good shape and its growth to be stimulated. Our gardeners can make your bushes and hedgerows denser, more compact and encourage their growth. By hiring professional gardeners to take care of your garden plants you will get best results. Use our affordable and effective hedge trimming services provided in Canary Wharf to property owners. Hedges should be shaped and trimmed by experienced gardeners before the starting of the growing season. This will make the plants thicker and develop properly. Mismanaged and poorly maintained hedges, on the other hand, look shapeless and aren’t in healthy condition. 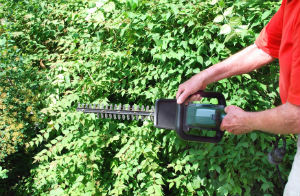 Leave the hedge trimming to our staff of gardening experts who operate in E14 and will do the work properly. They can enhance the state and increase the value of your house and other kind of property.